Need a great winter basic to add to your meal times? 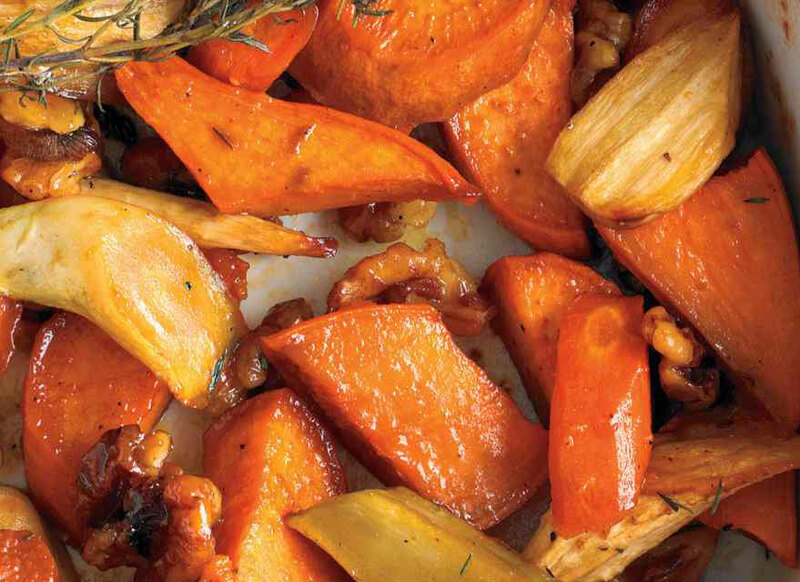 Try these honey roasted veges, great with any roast meat or as a next day lunch. Preheat oven to 190 degrees celsius. In a 3-quart baking dish, toss together sweet potatoes, carrots, parsnips, walnuts, honey, and oil; season with salt and pepper. Top with thyme sprigs and roast until vegetables are browned at edges and tender when pierced with a knife, about 1 hour.